Do you read the Chronicle Herald? Melanie Amos recently gave an interview about our activities to one of their reporters so watch out for that article. Starting Monday September 16 for six weeks Kingsport Fitness and Wellness Society is offering a programme of low impact exercises to help improve balance, strength and endurance. This is a co-ed class and is open to everyone. It is especially suitable for those who have not taken exercise for some time or who feel they are not as active as they would like to be. 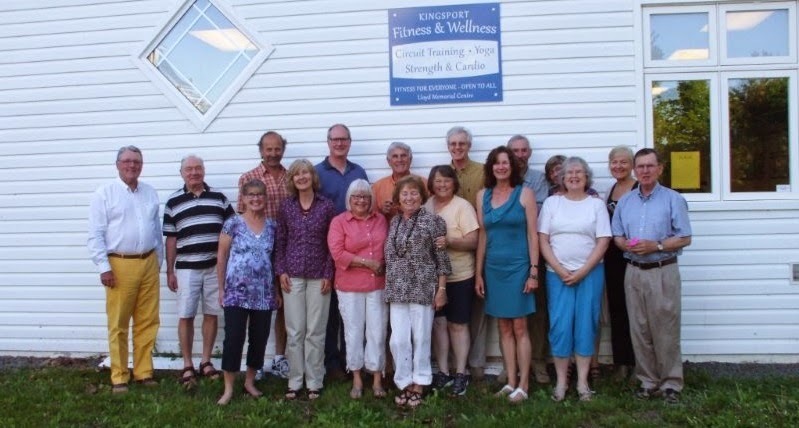 Led by Niamh Webster, an accredited Seniors' Fitness Instructor, and supported financially by the Eastern Kings Memorial Health Foundation, this community programme will be held twice weekly on Mondays and Thursdays at 10.30am at the Lloyd Memorial Centre in Kingsport. Please register for this new class on Thursday September 12 between 10:30 and 11:00am at the Lloyd Centre. The fee is $50, minimum registration is six, maximum 12. If you would like more information please call Christine (582 1624) or Niamh (582 1786) and don't forget to pass this information on to your friends or family members who might benefit from it. This will be a gentle stretch and strengthening class for all levels. 6 classes for $45 or $10 drop in. Firm blankets are always helpful to bring. See you there. Twice weekly, Tuesday and Thursday at 5.30pm for one hour. Work at your own level with guidance from Irene. Monday, Wednesday and Friday mornings at 9am. A mix of moves to music with weights and stretches. No bouncing necessary. Fridays we try out the circuit training. Watch out for news about the Harvest Marathon and Therapeutic Yoga.